In 2018, 4,849,303 Gorgonzola PDO cheese wheels were produced, 116,588 more compared to 2017 (+2.46%). The growth over 2016 is even more significant: +5.85%. The constantly growing trend in the production of the most famous Italian blue cheese in recent years is confirmed. Spicy Gorgonzola reaches 11.5% of total production with an increase of 7% compared to 2017 – in line with the growing popularity of long-ripening cheeses, especially in the pre-Christmas period (Absolute Survey). More than two thirds of 2018 production was concentrated in the Piedmontese provinces (Novara, Vercelli, Cuneo, Biella, Verbano-Cusio-Ossola and the Casale Monferrato area). Gorgonzola PDO is confirmed as the third most produced Italian cheese (from cow’s milk), with 37 member companies and 1,800 farms for a consumption turnover of 720 million euro. Exports of Gorgonzola PDO are once again showing a positive trend. In 2018 about 1 million and 750,000 wheels (21,007 tons) crossed the national borders, with an increase of 2.4% compared to 2017. 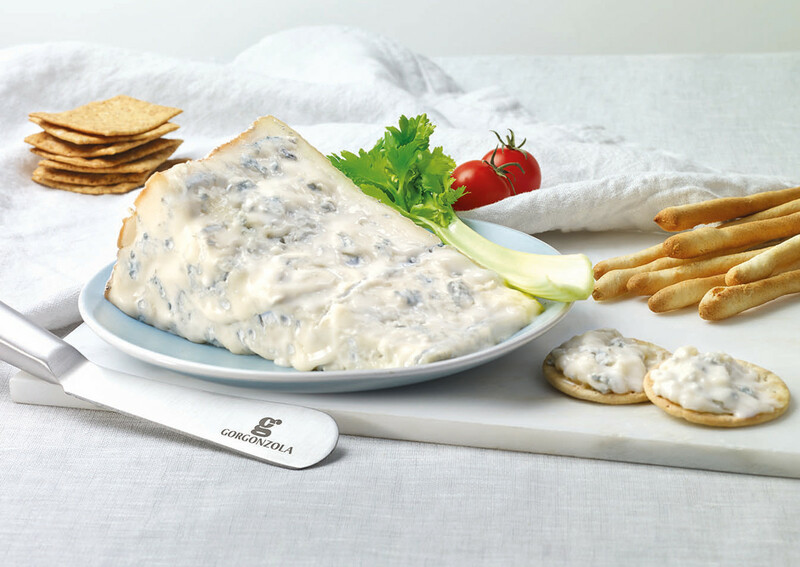 Exports of Gorgonzola have been growing steadily since 2010. The European Union absorbed 86% of exports, equal to over 1,512,000 wheels, while exports to the rest of the world grew by 13% (238,166 wheels). The best importers were Germany, France, Spain, the UK and the Netherlands. The best importer outside the EU is once again Japan, with about 42,000 wheels, followed by the USA with 36,812 wheels. Renato Invernizzi, President of the Gorgonzola PDO protection Consortium, says: “The continuous growth of Gorgonzola – that is leader in the food sector in terms of production value, consumption and exports – makes us very proud. Our efforts are aimed at protecting this product from counterfeiting and promoting its quality. We are aiming at increasing consumption opportunities even in the hottest months of the year, as well as increasing food culture and the knowledge of the PDO value. This is demonstrated by the ‘School of Cheese’ competition, that we organized together with other protection Consortia”.